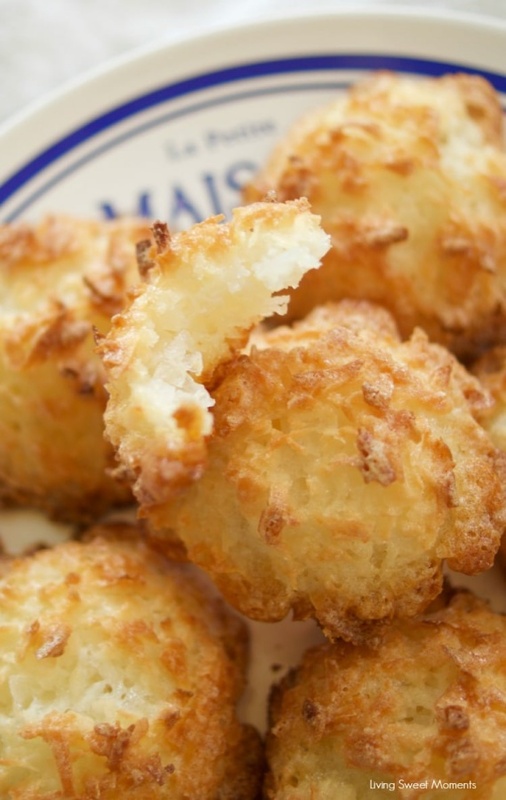 3 Ingredient Coconut Macaroons By Tiffany Bendayan | Living Sweet Moments. These 3 ingredient coconut macaroons cookies are gluten-free, easy to make and delicious. The perfect dessert for Passover or any other Holiday. Yummy!